The classical music world is not short of scandal, but which composers actually got caught? Check out our list of musicians who were sent to jail, arrested, or caught doing things they shouldn't. 1. Igor Stravinsky - arrested? 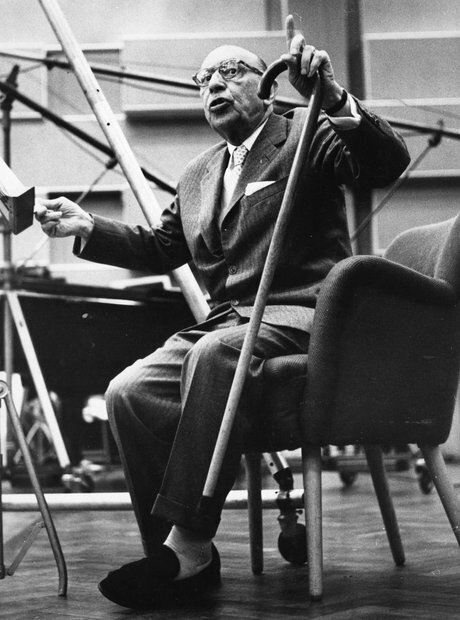 No stranger to controversy, Russian pioneer Stravinsky became the subject of a hotly disputed classical music myth when he inserted a controversial dominant seventh chord at a crucial point in a performance of the American national anthem. The police supposedly warned him that a $100 fine would be applicable, and arrested him. In the male-dominated world of classical music composition, female composers can often be overlooked - not so with Dame Ethel Smyth. During her musical education she met composers like Dvorak, Grieg and Tchaikovsky, as well as Clara Schumann and Brahms. However, as a member of the suffragette movement, she was imprisoned for two months in Holloway Prison. When the conductor Thomas Beecham went to visit her, he found her conducting the singing of her fellow inmates with a toothbrush. 3. Erik Satie - Cultural Anarchist? In much the same way as Stravinsky's Rite Of Spring caused a riot at its premiere, Erik Satie's collaboration with Jean Cocteau entitled 'Parade' ended up in a bit of a fracas on its opening night. In fact, Satie ended up in jail for eight days as a result. Bach spent a short time in prison, not necessarily because he had done anything wrong, but because he wanted to leave his powerful employer at the time. Still, he was productive while he was inside, and rattled off his book of keyboard exercises: the Orgelbuchen. The popular entertainer and song composer Ivor Novello spent four weeks in jail in the midst of the Second World War for misusing petrol coupons. Even though it sounds ridiculous, it was quite a serious offence in wartime Britain. Franz Schubert was, along with four friends, arrested by a suspicious Viennese police force who were on the look-out for any boisterous gatherings of young people. Apparently, Schubert's gang was exactly that, and he was reprimanded for his use of insulting language to to the coppers. Because of his sympathies for the French revolutionary cause, Gioachino Rossini's horn-playing father Giuseppe was often under close scrutiny from the authorities. They caught up with him in the end, though, and he was sent to prison in 1799. 9. Beethoven - a drunk and disorderly tramp? We know that Beethoven was occasionally a dark and tormented sort of soul, but his image really took a beating when he was arrested in the streets of Baden in 1820. Reportedly somewhat worse for wear, Beethoven had become lost and hungry and was gazing into people's windows. He was promptly arrested by a policeman who mistook him for a tramp and threw him in jail, even when Beethoven insisted he was one of the finest composers of his generation. He might not be the most famous musical name of the 20th century, but American composer and theorist Henry Cowell's story is remarkable. In 1936 he was sentenced to 15 years in San Quentin State Prison (pictured) for what the authorities called a 'moral' charge (Cowell was bisexual). While he was inside, Cowell continued to compose at a furious rate, producing over 60 compositions, and conducted the prison band before being released after four years.